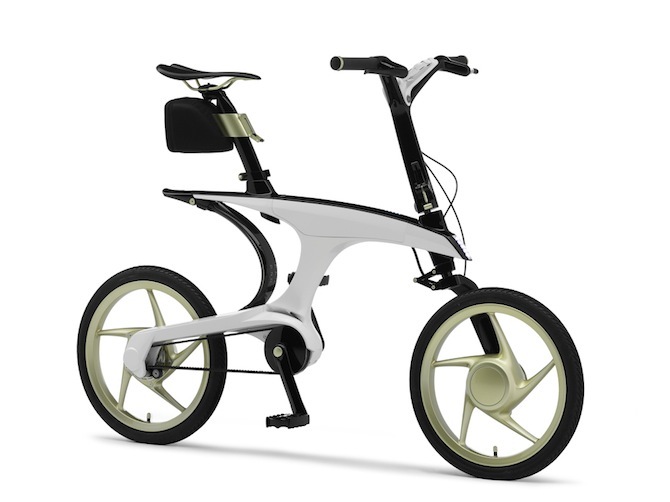 Toyota and Yamaha have created a couple of commuter concepts that integrate e-bikes and battery-powered scooters to Toyota’s electric vehicle communications network. Now, e-bikes and e-scooters can share the road and the charging infrastructure, too. 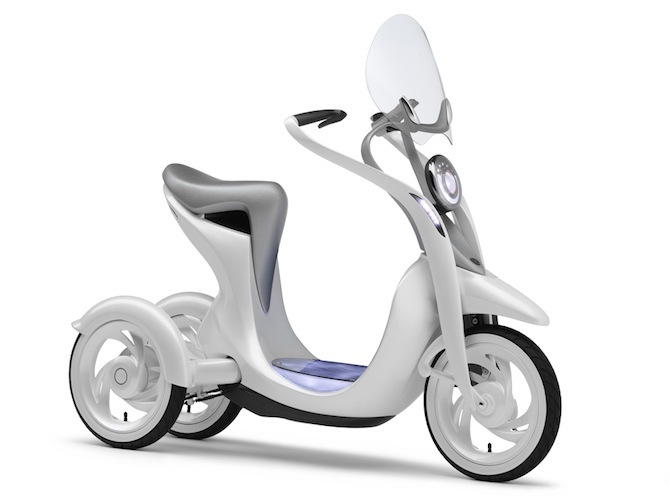 The EC-Miu three-wheeler (shown above) and PAS-WITH e-bike will appear at the Tokyo Motor Show when it opens tomorrow. The two concepts were designed to highlight the companies’ joint vehicle communications infrastructure, which they say will advance vehicle-to-vehicle telematics, encourage vehicle sharing and bridge the gap between cars and bikes. Through smartphone connections, WiFi and in-vehicle navigation setups, each concept can link to the Toyota Smart Center, a so-called “smart grid” telematics service developed in partnership with Microsoft. With that connection, riders can find the nearest charging station, reserve and pay for charging and upload vehicle diagnostic information. Those are the same benefits electric vehicle owners are beginning to enjoy. In addition to Toyota’s Smart Center, automakers such as General Motors and Nissan have already deployed smart-grid charging where EVs can communicate with utilities and EV owners to find and reserve a charging station, set pricing and the like. However, the Toyota-Yamaha partnership marks the first time vehicles other than automobiles have been invited to an automaker’s own charging party. Toyota and Yamaha say that the partnership has multiple benefits. The companies could save a lot of money through shared infrastructure and technology development, and owners of linked Toyotas and Yamahas would benefit from access to each other’s charging networks. Eventually, the partnership could even link scooters and e-bikes with a car-sharing service, where a suburban EV owner could borrow a bike to ride in a city while his or her car was plugged in at a public charging station.